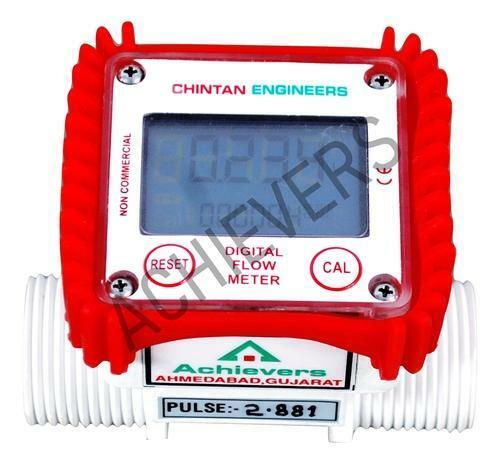 We are a leading Manufacturer of polyurethane flow meter from Ahmedabad, India. CE-210 ACHIEVERS Developed Polyurethane Flow Meter is a superior choice for flow measurement of very high viscosity fluids with the help of Positive Displacement Technology. With the latest technology of K-factor this polymer flow meter is a very good choice for fluids with changing flow rates. Achievers Polyurethane Flow Meter provides great accuracy and repeatability over the full range of measurement. This Polyurethane Flow Meter is considered the best choice for measurement in laminating systems, painting systems, adhesive dispense systems, as well as batching systems for various fluids. •Ideal choice for water atm, water dipensing,tea/coffee/wine/juce and other food liquid measurement and other dispensing system. Looking for “Polymer Flow Meter”?